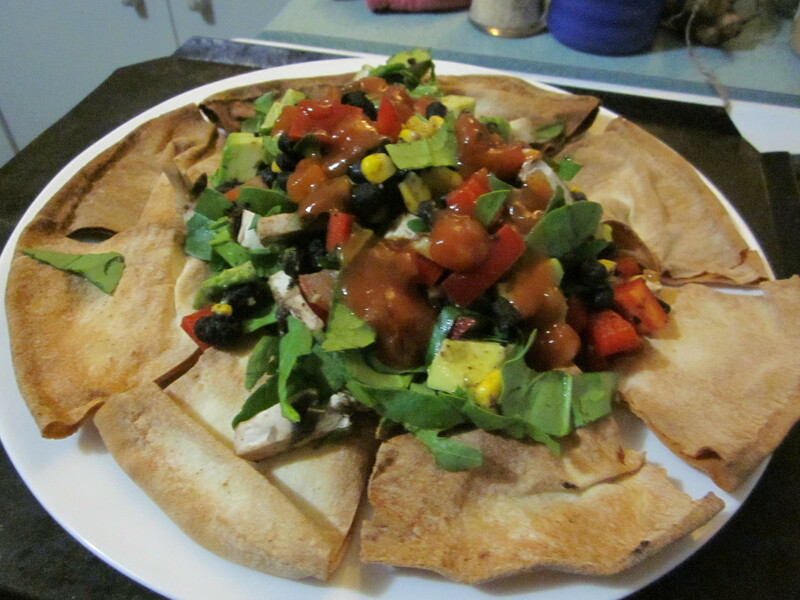 There were plenty of slow cooked black beans, and other fillings leftover from the soft tacos, so the next night I made a big Mexican-inspired salad, and served it on freshly cooked pita bread chips. The fillings keep better if you store them separately. It was pretty much a case of just combining all the leftover ingredients together, adding some more leafy greens, chopping up more avocado and piling the whole lot on top of the pita chips, then topping with a little salsa. Voilà!